MaskinEkonomi AB was established in 1985 and has become a leading supplier of spare parts for MIG, TIG and PLASMA torches. Our wide range of products is distributed through a large network of authorized dealers on the Scandinavian welding market. As exclusive agent, we represent PARWELD LTD – one of the world’s largest manufacturers of welding products with a production of more than 100,000 welding torches annually. 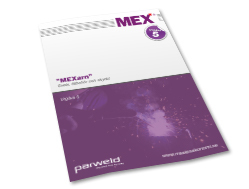 The product range is presented in our catalogue where a large portion of our products are marketed under our own brand – MEX..
MaskinEkonomi AB supply MEX welding equipment. MEX welding program include spare parts for MIG, TIG and PLASMA torches, gas cutting equipment, welding inverters, TIG machines, MIG machines, plasma cutters, welding positioners, welding rollers, safety gear and tools. See product catalogue for details.